Mark Maryanovsky was born in Riga, Latvia, and he studied with Valentin Feigin and Sergei Shirinsky at the Moscow Conservatory and Harvey Shapiro at Juilliard. 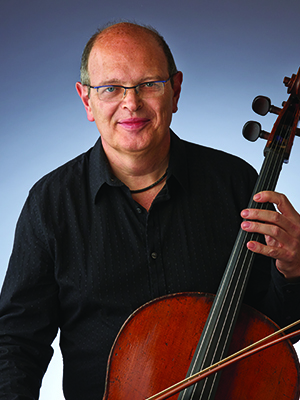 He played principal cello in the Moscow Conservatory Orchestra and the Riga Chamber Orchestra and, after immigrating to the United States in 1979, was a member of the Brooklyn Philharmonic and played as a substitute with the Baltimore Symphony before joining the Indianapolis Symphony Orchestra in 1985. Married to a ballerina with Ballet Internationale, Maryanovsky owns the Tone Studio, a high-end audio store. He is an amateur architect and has designed and built his own home and store.